What was originally planned as an OUTCOAST™ Stories of Pride Kick-Off Experience is now a fundraiser for the LGBTQ center in Puerto Rico. On Tuesday, October 24th, we will amplify the voices Of Florida’s Gulf Coast LGBTQ+ community by creating a one-of-a-kind experience featuring the stories of community leaders, LGBTQ business owners, and the incredible voice of Ms. Jennifer Real. Purchase Tickets here. With the support of our partners, we will create an interactive story-telling experience through digital communication, art, guest speakers, and music! You won’t want to miss out. Tickets are $30 and include music by Jennifer Real, a cash bar, light fare, networking, interactive and visual experiences, speakers, and so much more! Ticket sale profits will go to CenterLink, who will forward funds to the LGBTQ Center in Puerto Rico. There will also be food trucks in the NOVA 535 courtyard, just in case you are super hungry! OUTCOAST™ VIP members receive a complimentary invitation to our VIP open bar reception, which starts at 5:30 PM. VIP members will have access to the VIP lounge throughout the evening and receive a thank you gift for their support. To become a VIP member, visit www.OUTCOAST.com and click JOIN VIP CLUB. Interested in sponsoring our event? Contact info@outcoast.com to learn how. Sponsors will have an opportunity to sign up for discounted annual editorial marketing/consulting packages as part of their sponsorship level. Don’t miss an unforgettable evening of connecting and strengthening our LGBTQ+ community! The Friday Night Party is revealing a new theme and venue this year: “Viva Las Vegas” at NOVA 535! This party will transport you to Vegas with world-class entertainment, casino games with raffle prizes, delicious food, live and silent auctions, and a two-hour open bar. Dress to impress in casino glam attire. PARC’s signature Golf Tournament Weekend raises critical financial support and awareness for PARC’s programs and services for adults and children with intellectual and developmental disabilities, and their families. Since 1953, PARC has been offering unique and vital services, and today supports more than 800 adults and children through numerous comprehensive programs. The Golf Tournament Weekend is made up of two events, a Friday Night Party and a Golf Tournament the following day. You can support either or both! Individuals and businesses may participate as sponsors, golfers, party-goers, or auction donors. We offer separate and combined sponsorship opportunities at multiple contribution and benefit levels to accommodate the interests of our supporters. Help us make this the best year yet for PARC’s Annual Golf Tournament Weekend! Swanky Soiree is always the unexpected, always fun, and most importantly – always a tremendous benefit to the girls of Brookwood Florida Inc. Become a sponsor, purchase a ticket, or donate and you will be helping the many troubled girls who come through Brookwood’s door searching for a better future. YOU can be a part of OUR SUCCESS! Join us for a Fun-tastic evening of fabulous food, wonderful wines, flaming coffees, decadent desserts and more, all benefiting Brookwood Florida! Swanky Soirée has expanded into one of the most anticipated fundraising evenings of the year. Enticing sponsors and supporters, both past and recent, from throughout the Bay area and beyond, this year promises to be an all-new Swanky Soirée. Fresh. Fun. Rewarding. Founded in 1927, Brookwood Florida provides a unique, life-changing residential program for non-pregnant, non-addicted, at-risk girls between the ages of 13 and 20. The agency typically serves between 100 and 110 girls per year who have suffered abuse, neglect, homelessness and serious family dysfunction. Along with a safe and nurturing environment, Brookwood provides a four-part program that includes education, job skills training, independent living preparation, and mental health counseling. The agency also offers three residential tiers with increasingly more independent living conditions to help our clients move steadily toward self-sufficiency and reintegration within the community. BROOKWOOD ESTIMATES THE COST OF ONE GIRL FOR ONE DAY TO BE $150. NO GIRL IS EVER TURNED AWAY, YET WE DO NOT RECEIVE ENOUGH COMBINED FUNDS FROM THE STATE AND FAMILIES TO FULLY COVER EACH GIRL’S EXPENSES. SWANKY SOIREE HELPS US OFFSET THE COSTS AND KEEP OUR THERAPEUTIC PROGRAM BOTH IN OPERATION AND SUCCESSFUL. WHEN YOU ATTEND SWANKY SOIREE, YOU SUPPORT YOUNG GIRLS STRIVING TOWARD SELF-SUFFICIENCY. BROOKWOOD FLORIDA, INC., IS A NONPROFIIT 501C3 FEDERALTAX ID 59-0624387. A COPY OF THE OFFICIAL REGISTRATION CH-1457 AND FINANCIAL INFORMATION MAY BE OBTAINED FROM THE DIVISION OF CONSUMER SERVICES ON THEIR WEBSITE (WWW.800HELPFLA.COM), OR BY CALLING TOLL-FREE, 1-800- 435-7352 WITHIN THE STATE. REGISTRATION DOES NOT IMPLY ENDORSEMENT, APPROVAL OR RECOMMENDATION BY THE STATE. Join the Burg Exchange Club, the Arts Conservatory for Teens (ACT), and amazing local youth entertainers at our sponsoring venue, the historic NOVA 535, in beautiful Downtown St. Petersburg for a “Golden Age of Hollywood” themed fundraiser. Headlining the event will be a national touring act, Ries Brothers. There will be live music, wine tasting, light fare, a wine raffle, a silent auction, 50/50, and other surprises. The entertainment also features various youth performers from the ACT program; you will be overwhelmed with the amount of talent that will take the stage this evening. 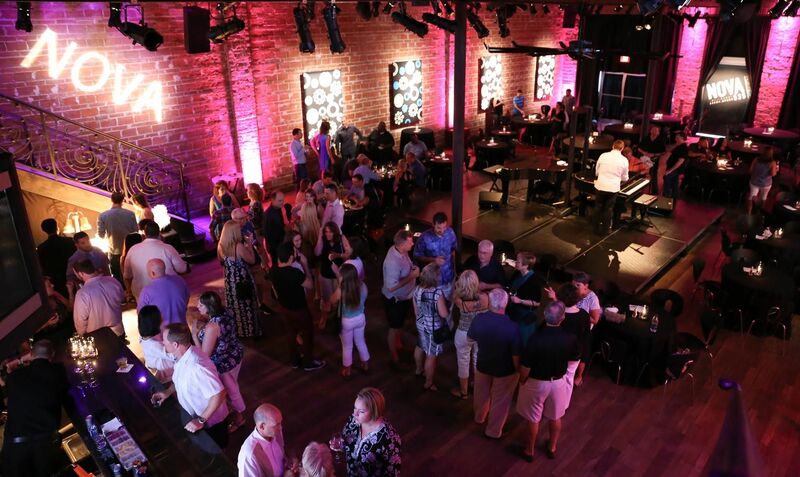 This is the second annual Burg Exchange Wine Down for Youth Advocacy fundraiser and this year’s program is projected to meet and greatly exceed its previously successful and fun-filled inaugural event. Thursday NOVEMBER 19, 2015 at historic downtown St. Pete venue NOVA 535 is the official Little Light of Mine Launch Party. Ordering your free ticket at least 1 week in advance will get you entry into a drawing for a special prize. VIP’s get a gift bag, drink tickets, raffle ticket, and reserve seating. General admission is free plus we also offer VIP tickets, 1 for $50 and 2 for $75. Please join us as we celebrate the official launch of Little Light of Mine. Our busy little fairies are in the think tank developing an evening that will be informative yet enjoyable. We want you to meet our Little Light Of Mine extended family, from our Board to our volunteers to the most important people, the families we serve. Our goal for the evening is that everyone leaves with a little bit of new perspective, a heart full of warm fuzzies, and hopefully a little less cash in their pockets. 😉 . The loft area of Nova 535 will be the hub of local restaurants offering tastings of their signature dishes. To top the night off, Rob Irie Pieniak of Buffalo Strange (www.robirie.com) is going to play his sweet, *SWEET* music and Steven Turner of Giving Tree Music (www.givingtreemusic.com) is going to lead us on an interactive drumming experience. Both of these musical delights were hand-picked by our founder, Sheri Kendrick, and are sure to bring some good vibes to the evening. Tickets are not required for entry to the event; however, by reserving your ticket, you will A. be helping us figure out a head count for the event, and B., receive one free raffle ticket, which you can enter in any one of our many AMAZING raffles. Be excited. Be very excited!! 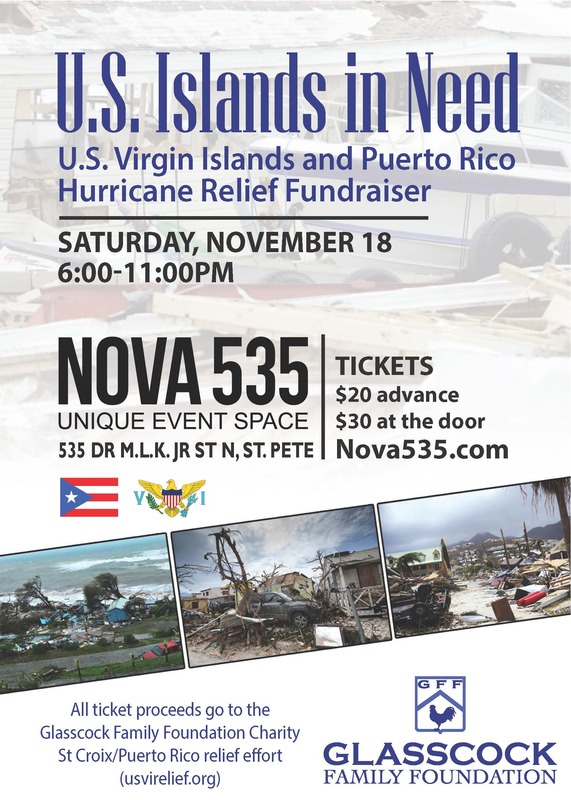 So, please save the date and plan to join us for this lovely evening, Thursday, November 19, at the best venue in St. Pete, Nova 535. EVENT SPONSORS  Ideally, we’d love to have one sponsor donate $5K to cover the event, but any financial contribution will be happily and graciously accepted. We need sponsors to fund the event staffing at $1K, to fund the production of display prints at $1,500, and there are several smaller budget items to sponsor between $250 and $500. Sponsors will be promoted on our social media sites. Major sponsors will be offered custom sponsorship packages. FOOD SPONSOR  We have 8 4’x6′ tables left for manned food offerings and about 6 places left for food donations that don’t require staffing. GIFTS and GIFT CERTIFICATES (OR $$)  to sponsor a prize like skydiving tickets or a hot air balloon ride. VOLUNTEERS  We need help continuing to plan the event as well as to execute the night, including set up and clean up after. By helping us, you are helping another family receive priceless images of their little ones. Meet distinguished Bridal Partners, with lots of exciting give-a-ways, all while supporting Brides Against Breast Cancer with this BABC Bridal Gown Sale at NOVA 535. Not limited to brides, bring your friends! Cash bar open all day so come and enjoy a bloody mary or mimosa with your girlfriends while you shop for your perfect wedding gown!